Further details of the exhibition at the British Library in 2017, to celebrate twenty years since the first publication of Harry Potter and the Philosopher’s Stone, have been announced. We’re delighted to confirm that the exhibition will be entitled Harry Potter: A History of Magic and will combine original material from the private archives of J.K. Rowling and Bloomsbury with centuries-old treasures from the British Library’s world-class collection, focusing on the theme of the History of Magic. The structure of the exhibition has been inspired by the subjects Harry and his friends study at Hogwarts School of Witchcraft and Wizardry, from Potions and Herbology to Astronomy and Care of Magical Creatures. The exhibition will run from 20th October 2017 to 28th February 2018, at the British Library in London just a (Philosopher’s) stone’s throw from Platform 9 ¾ at King’s Cross Station! 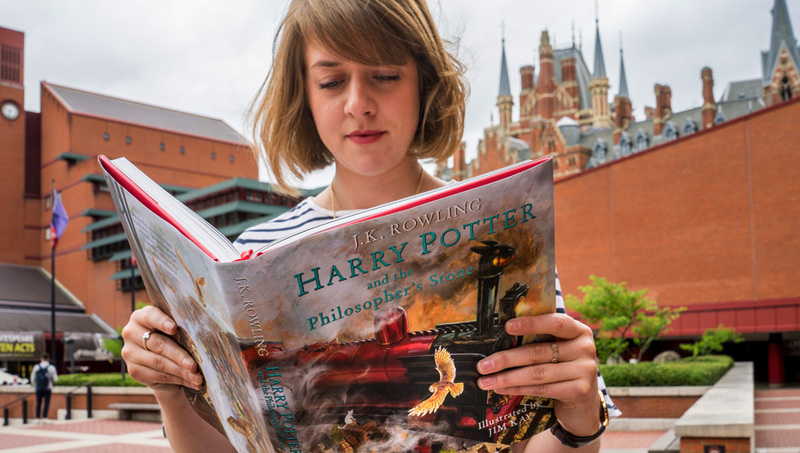 For an interview with the British Library’s curator on Pottermore, please click here.